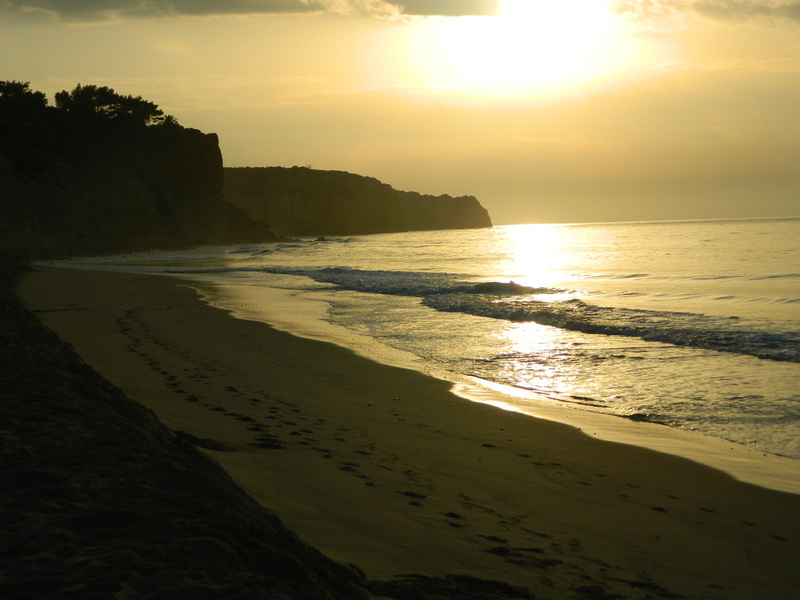 Lagos, Portugal lies along the southern coast of Portugal in the Algarve region. If you can make time to squeeze in a long weekend or quick overnight here, you will be so glad you did, and you will want to go back! 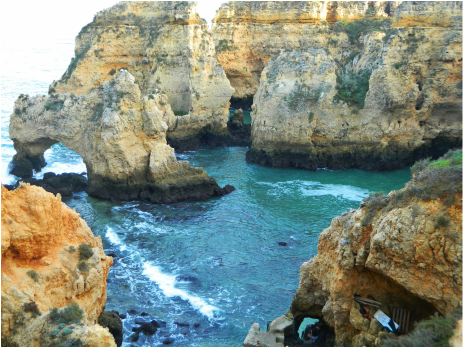 Located just 4 hours from Rota, Lagos has some of the most spectacular coastline you can find in Europe. And in case you've never been to Portugal before...be prepared for some amazing food. :) Like most of southern Europe, Lagos is crowded in the summer months, and consequently, more expensive. But, visit in the off-season (we went in November) and you can find great rates at beautiful hotels that might have been out of the question during peak season. 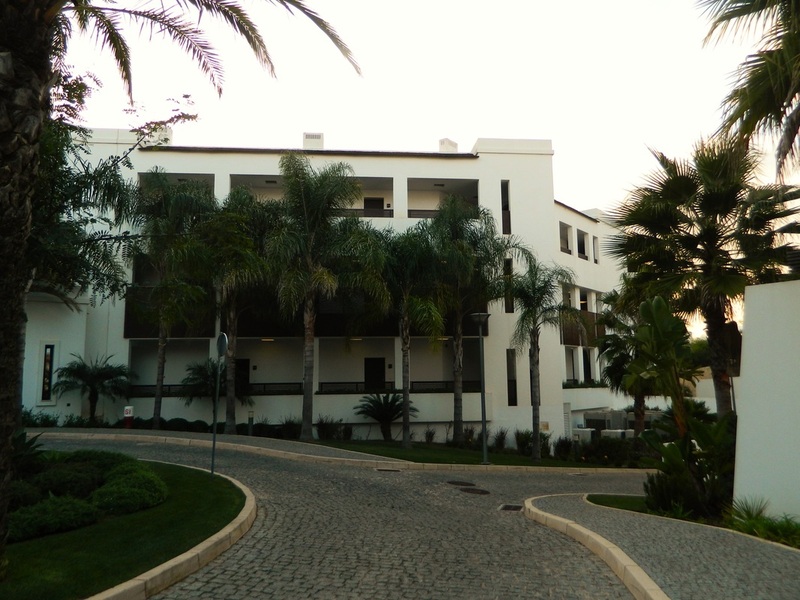 The Bel-Mar Spa and Beach Resort where we stayed in Lagos is the perfect getaway...fully equipped with everything you need, and just minutes on foot from the beach. This resort features 5 outdoor pools, and on the lower level, an indoor pool and spa. Spa services are available by appointment. 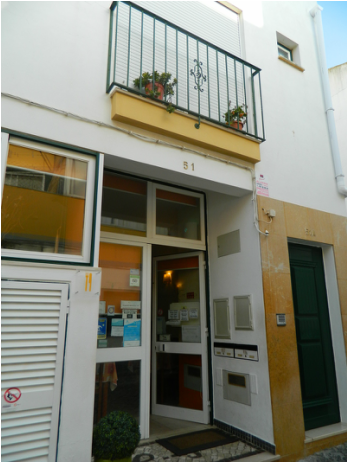 There is also a restaurant and bar but we were so happy in our beautiful 3-bedroom apartment, we never left the room except to enjoy the rooftop terrace and outdoor balconies. 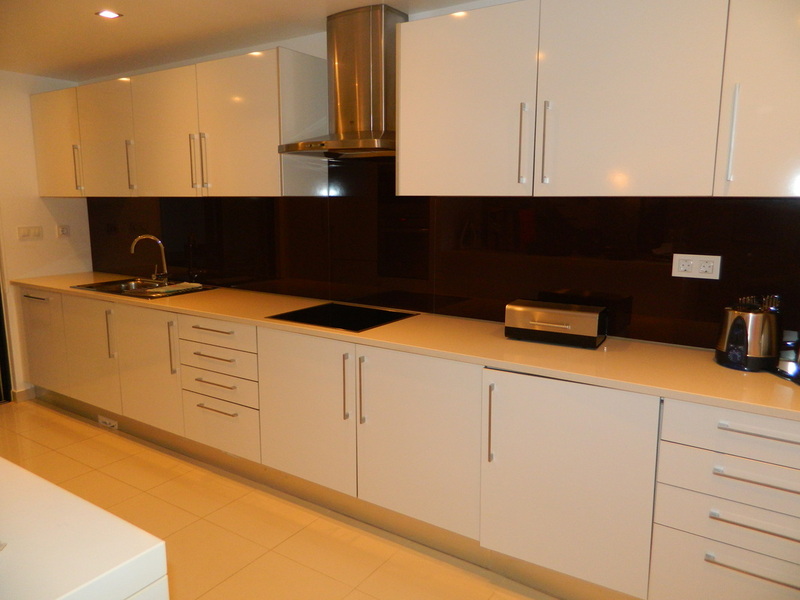 Truly luxury on a budget! 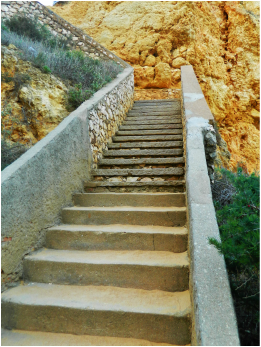 Lagos has several beautiful beaches...we visited two--Ponta da Piedade with it's amazing rock cliffs and formations, and Porto de Mos which was just a few minutes walk from our hotel. 194 steps down...and back up again...but who's counting? 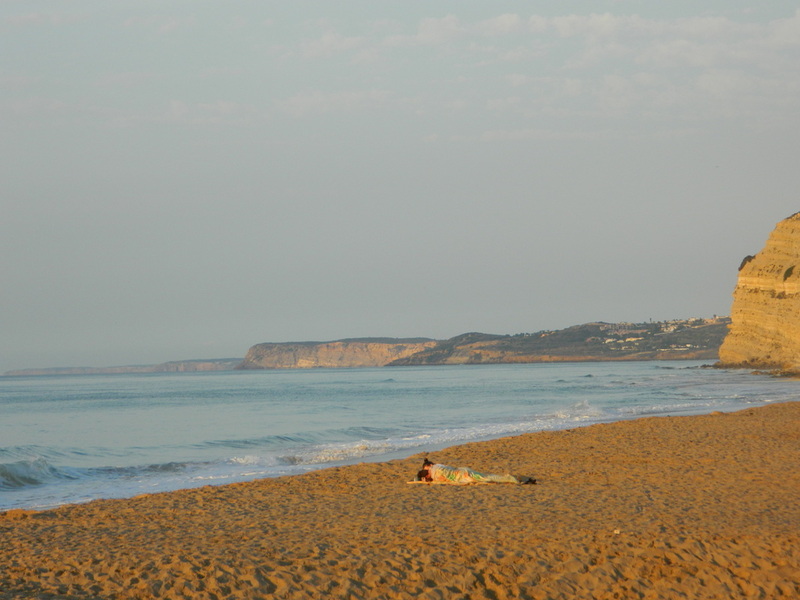 Porto de Mos beach...all but deserted in November! No visit to Portugal is complete without enjoying some local, authentic Portuguese cuisine. Lagos has a charming old town (best explored on foot), with little restaurants tucked into nooks and crannies off the narrow, winding roads. 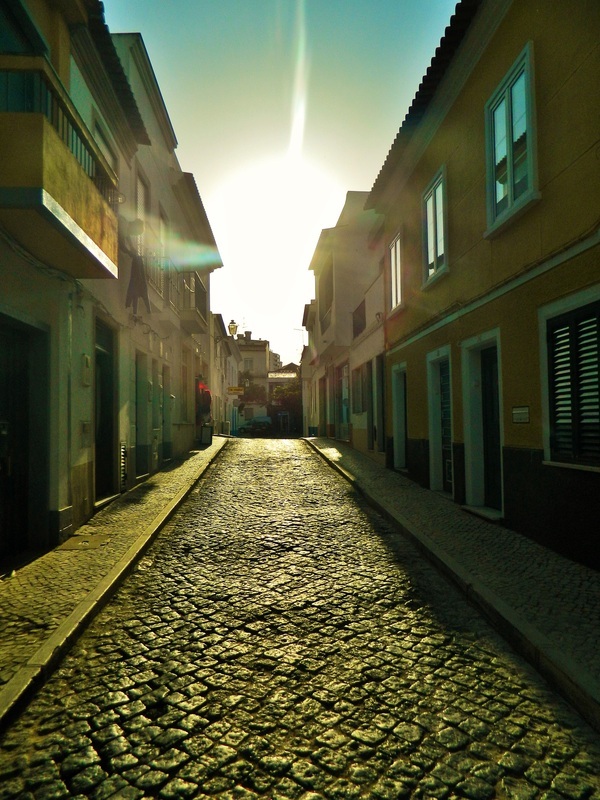 We discovered this unassuming little gem, Casinha do Petisco. They serve up amazingly fresh Portuguese cuisine...for lunch, get there well before 3PM (they close from 3-6) and be prepared to wait for a table. It's a tiny place where you won't likely find any tourists (those are the best) and it's worth the wait. Ask the owner for a recommendation on what to eat and he will point you in the right direction. If you haven't brushed up on speaking Portuguese, don't worry because in Portugal, unlike in Spain, English is spoken almost everywhere. The old town in Lagos is pretty quiet this time of year, and it's the perfect time to stroll around and appreciate the details in the architecture without the hustle bustle of summer tourists. Rustic buildings and cobbled streets are nestled in the old town which sits just above the ocean...not fancy, but full of old-world charm. 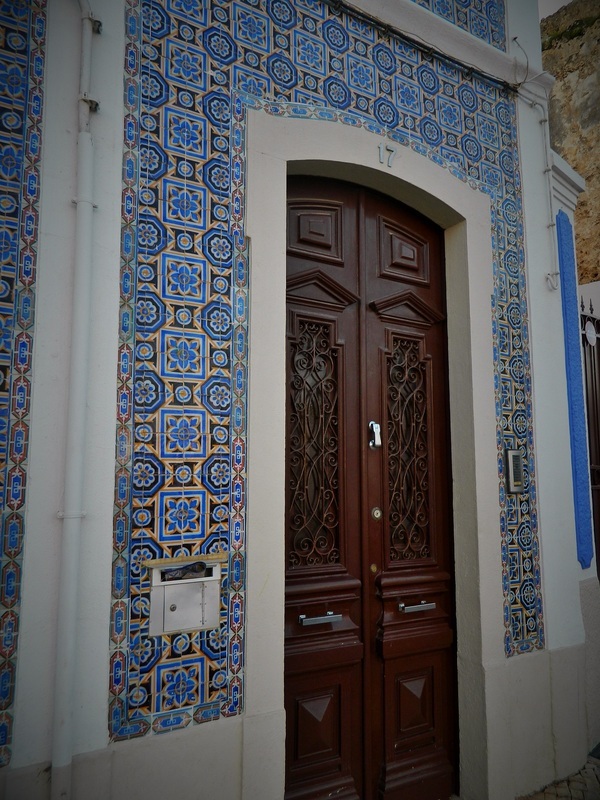 Striking tile work around an intricate door. From Lagos, it's just a 30 minute drive to the town of Sagres and the Cape St. Vincent lighthouse, which lies at the very southwestern-most tip of Europe. If you've come as far as Lagos, the extra 30 minutes will be so worth the effort! Of everywhere I have visited in Europe, Sagres might be my favorite...tied with Lagos! Here's a link to a post about Sagres. I hope you make the time to get out and see Portugal...there are so many places to explore. Boas viagens!